The San Diego-Yokohama Sister City Society was established in 1957 as one of the first sister cities on the west coast. 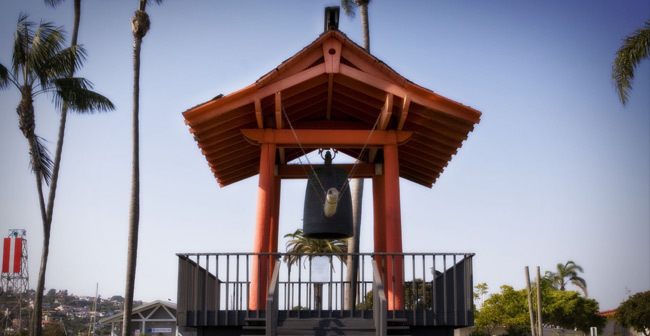 The Society has sponsored numerous exchanges in the field of arts, business, culture, and education between the City of San Diego and the City of Yokohama, Japan. One of the most successful programs has been our student exchange program. Upon returning home, many students became leaders in education, government, and industry. Over the years 2003 and 2004, both nations will cerebrate the 150th anniversary of our joint relationship. In 1853, Commodore Matthew Perry sailed his black ship into Uraga harbor (near Yokohama) and a treaty of peace and amity was signed one year later. This relationship has grown into one of the closest political, cultural, and economic relationship of our time. We continue to celebrate our ties to genuine friendship and shared values and promote the Sister City goals of world peace through better understanding.